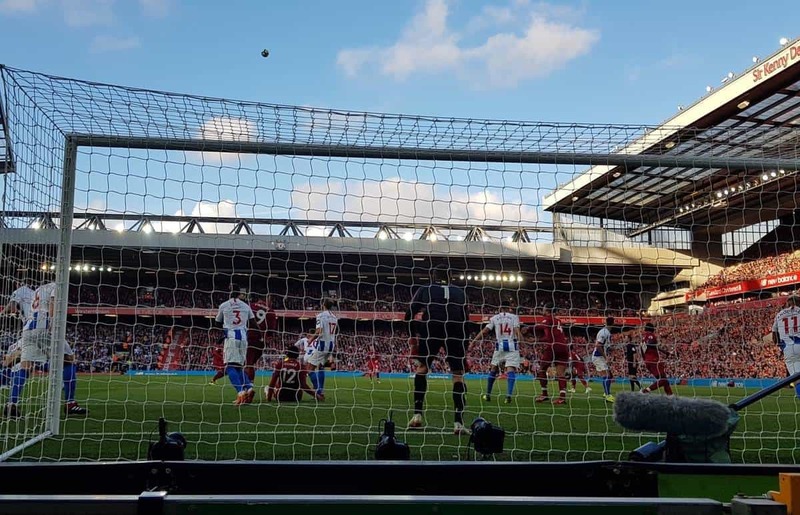 Anfield is famed for its atmosphere, particularly on the Kop, and for wheelchair user Ben Höfler, Liverpool’s win over Brighton gave him a chance to experience it. The expansion of Anfield’s Main Stand has seen the stadium’s wheelchair access increase to 267. There are now 115 positions on the new stand itself, along with 24 in the away section, 36 on the Anfield Road end, 40 on the Sir Kenny Dalglish Stand and 52 on the Kop. 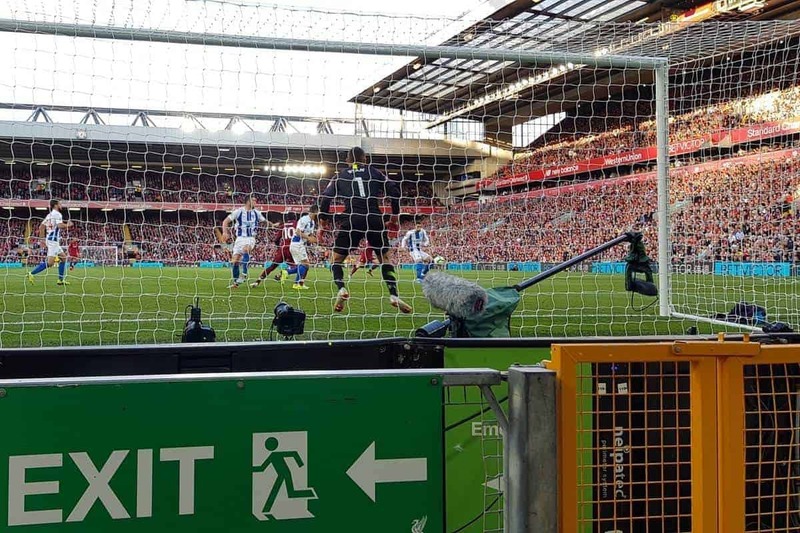 Liverpool’s home improvements have made this essential, as enjoying Jurgen Klopp‘s Reds should be a universal experience—and for Ben Höfler this has proved to be the case. 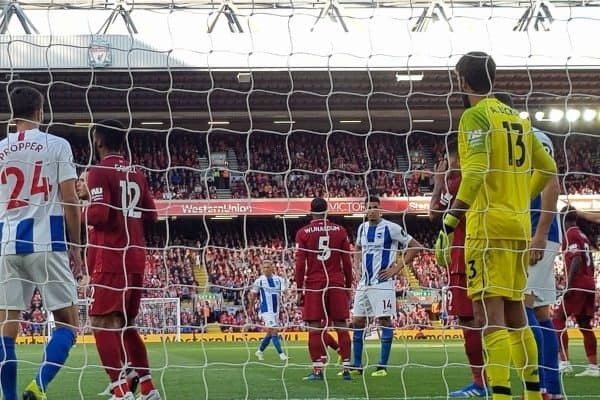 Having already watched his side from the Anfield Road end, Ben realised his dream of sitting on the Kop for August’s 1-0 defeat of Brighton, as a winning start to the new season continued. 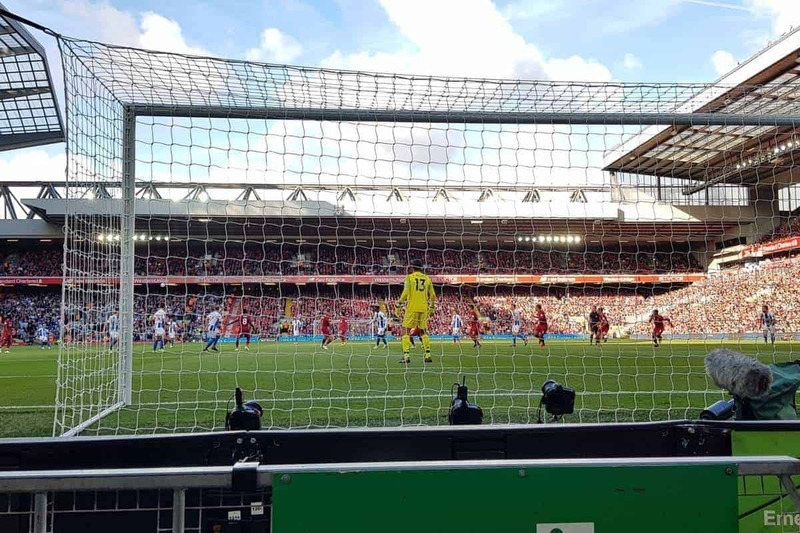 This is Anfield spoke to Ben to hear about how he grew to love Liverpool, his second trip to Anfield and the matchday experience for a wheelchair user. 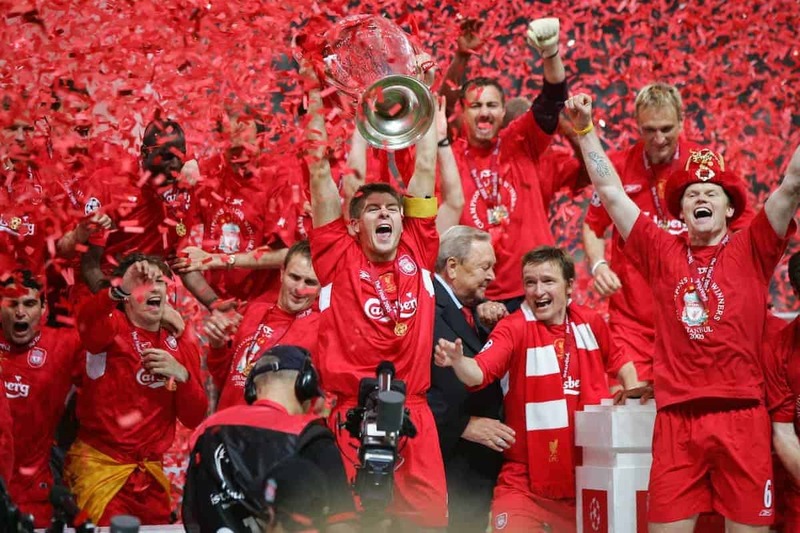 “It all started with that one night in Istanbul 13 years ago. “I watched the game without any big expectations, and although I preferred Liverpool over Milan, I would not have called myself a fan or even a sympathiser back then. “Little did I know that the upcoming 120 minutes would change that. The passion of our glorious leader, the story of the game, the fans—who sang You’ll Never Walk Alone from the bottom of their hearts, despite the fact their team was 3-0 behind. “All of that impressed me so much that I wanted to learn more about that club. So I sat down and did some research, and man, what I found was even more impressive. “The history of the club, the legends who played there in the past and during that season, the way they handled those terrifying tragedies. I just wanted to be part of that. “So I followed their games as well as I could from Germany. In 2010, I made a road trip through England and Scotland with my girlfriend. Of course, we visited Liverpool and I bought my first jersey. “And I saw my first Liverpool game in the city. Not at Anfield, of course, but in a nice pub. “Liverpool played at Old Trafford and they lost 3-2. But the atmosphere in the pub was amazing. The cheers. The cries. The hope. There were literally chairs flying when Berbatov scored in the 84th minute. “I felt that You’ll Never Walk Alone really is more than a song here. I understood that Liverpool really means more. And more is what I wanted. “So I intensified my connection to the club. I watched more and more games on TV. I put some Liverpool decorations on my walls. I became a supporter and a fan. ‘They’ turned into ‘we’. “Three years later my girlfriend and my parents made it official: they presented me with a Liverpool FC membership for my 30th birthday. I was finally part of that amazing club. “With that gift I started my hunt for tickets for a game at Anfield. The ticket system for disabled members was more complicated back than. It had to be done over the phone so it took almost four years until I finally managed to get some tickets. “And what a game it was, October 2017 against Huddersfield Town. We had just lost 4-1 to Tottenham and I thought that if we would lose again that Saturday I might have Klopp on my flight back to Germany on Sunday. We didn’t. No we didn’t. “Although the first half we were very nervous we managed to get ourselves together in the second. 3-0. The Kop exploded. I exploded. It was unbelievable, and it was the start of something even more amazing. 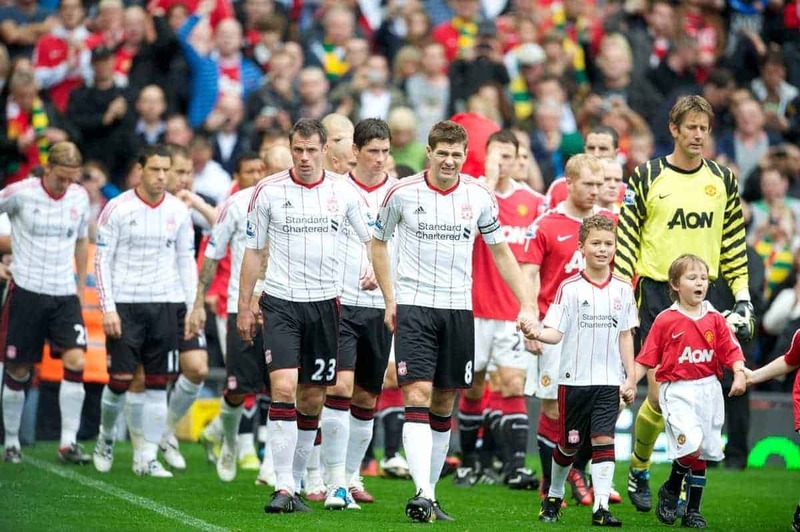 “Back then I was placed in front of the Anfield Road end, meaning next to the away fans. “My chance came one year later. “The ticket system was switched to an online process, which allowed me to choose my seats more freely. So finally after a 13-year-long journey I was finally there, in front of what is probably the best stand in the world: the legendary Kop. “And what can I say? Being that close to the players was great. But honestly, being part of that crowed was even better. 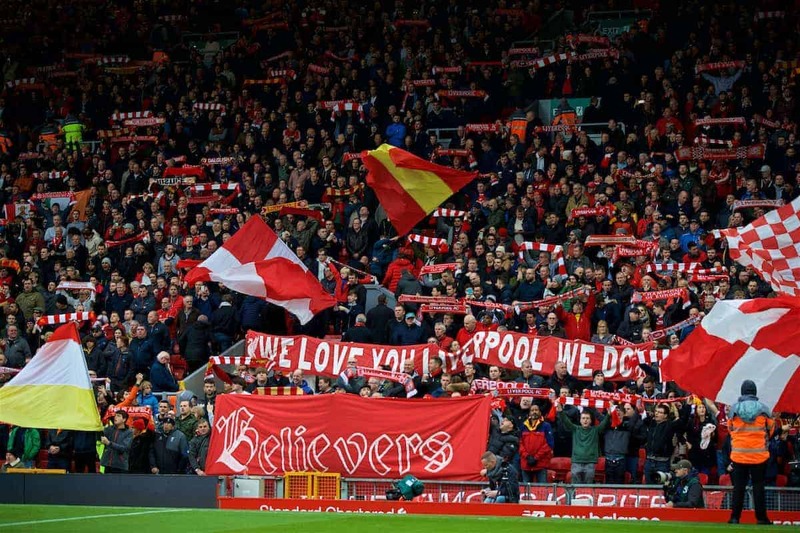 Singing You’ll Never Walk Alone and Allez Allez Allez along with those people gave me goosebumps all over. “I hardly figured out what Mo did on the other side of the pitch when we scored because the view from those seats isn’t that great. I couldn’t care less. “Was it a perfect game? No, it wasn’t. There is still work to do and things have to get smoother again. But we will get there. “Was it a perfect day for me? Hell yeah it was! I screamed my lungs out with everyone around me, I sang the greatest anthem in football with the greatest fans in the world. “Since the purchase process for tickets was switched to online for this season, things got a lot easier. At least for members. “The system is strictly ‘first come, first serve’ for most of the games. Excluded from this are games against other ‘big six’ teams and Everton. 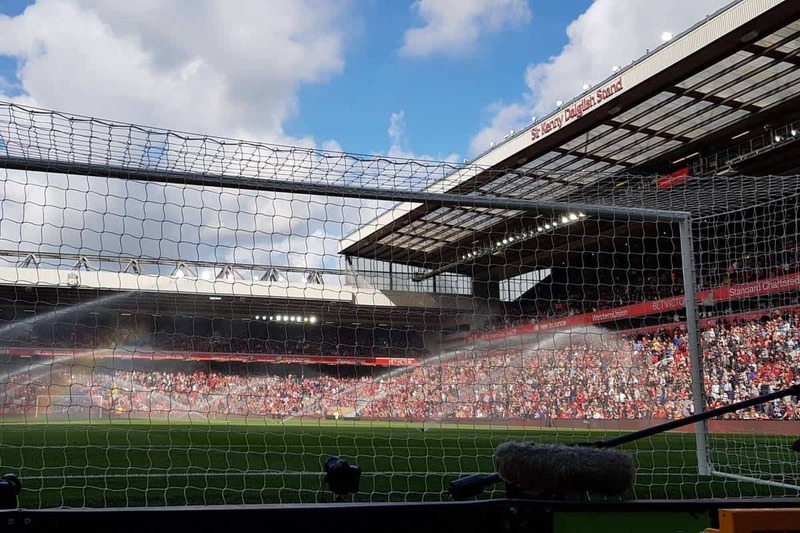 “For those games you need to have visited a certain amount of games the previous season, and although that is something that probably will prevent me from seeing one of those games at Anfield I think that is pretty good system. “For all other games you just have to be quick, although members with a certain purchase history have access to the tickets a little earlier. Again, I think that is very fair. “There are very good step-by-step instructions on the website, that explain precisely what you have to do. Then you can choose your seat, and an additional seat for your personal assistant (my girlfriend) is automatically added. “The support and service on matchday itself is outstanding. “You literally can’t spend more than 30 seconds starring at a map without someone from the staff appearing from out of nowhere to help you. “Really, those guys are like fairy godmothers or something. “Our fairy godmother this year was Sue, who took us to our seats, introduced us to the fans around us, explained everything important to us (toilets, beer, gambling) and regularly checked on us, to see if we had a good time. “It was amazing. Unfortunately I forgot the name of the lady who took care of us last year, but she was amazing as well. Thanks to Ben Höfler for sharing his experience. For more information on visiting Anfield as a wheelchair user, click here.